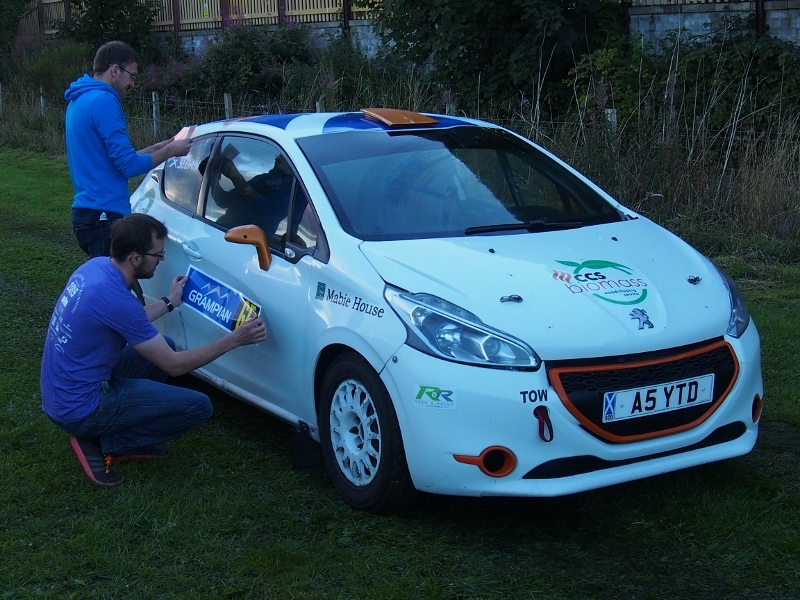 You have to wonder what the future of rallying holds, and perhaps this is an example of the way forward. 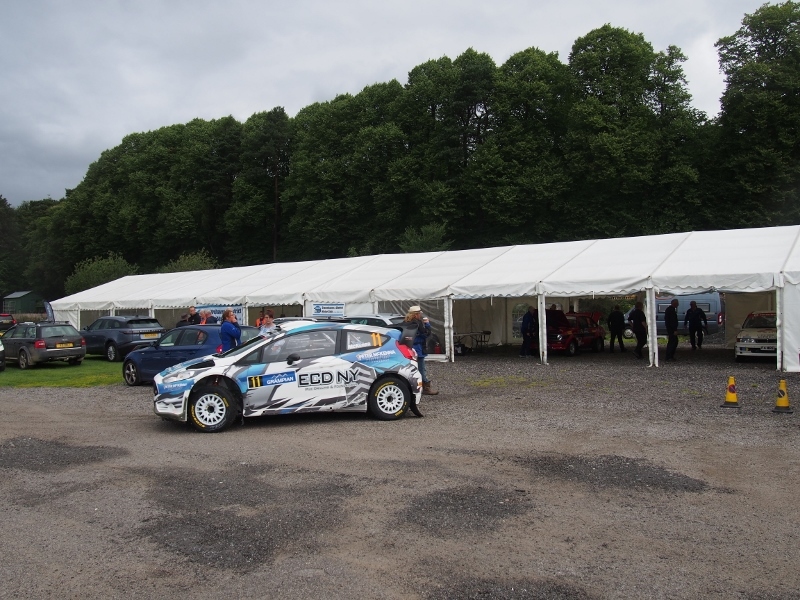 The no-frills Grampian Forest Rally got under way last night at Milton of Crathes in a field with a tent. 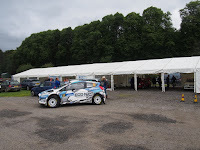 That’s unkind, the facilities here are excellent, firm underfoot and short cropped grass better than many a folks’ front lawn, and the tent is a huge marquee with Rally HQ and seating area at one end and a three bay Scrutineering Bay at the other. A few other small portacabins house the officials, the equipment team and Brian Thomson’s results operation. All under one roof so to speak. The event itself s very compact with 6 stages and just 73 road miles linking them. 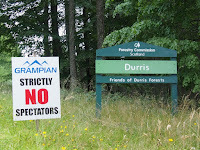 There are just two spectator areas, but then the sport was never created for spectators, it was created for competitors. Catering for Spectators these days is just another arduous, time consuming, and often thankless, task for organisers. Like F1, nowadays the World Rally Championship has more to do with show business and money than motor sport. This is where the real sport is these days, at amateur level. 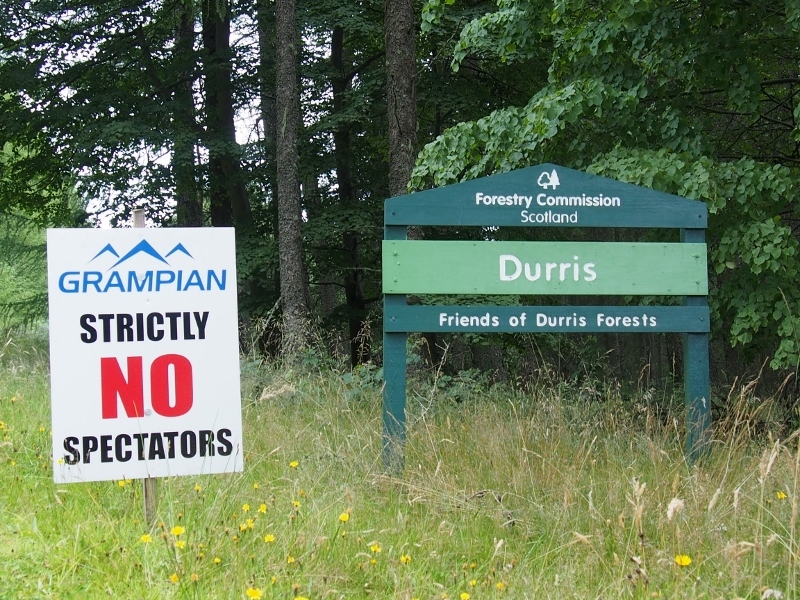 Wouldn’t it be nice to declare events at this level as non-spectator events and those who do wish to turn up and watch do so at their own risk? Sadly that won’t happen. Not in these ‘blame somebody else and sue the arse off them for compensation’ times in which we live. Reminds me of the McRae Challenge a couple of years back. Four stages in one forest in one day. Started at 11.00 and finished mid-afternoon. Competitors could do it all in one day and be home for supper after 30 miles of fast and furious fun. Competitors still talk about that format today. Rallying is changing and it either adapts or dies. The sport’s governing body is also placing more restrictions on Press & Media attendance at events these days, and this at a time when the sport needs to foster better public relations and acceptance let alone the need to promote and advertise the sport. Cynical? You bet. But looking around the excellent entry here at Milton of Crathes you can only wonder at the resilience and tenacity of those who simply enjoy the thrill of high speed competition over uncertain surfaces in unfamiliar surroundings. On that note it’s great to see the Sloan boys here. When their Vauxhall Nova got itself burnt to a crisp last year that was them out of the sport, but thanks to friends and supporters they are back with a new car. And Derek and Laura Connell, married last Thursday but the honeymoon will have to wait till after this weekend. 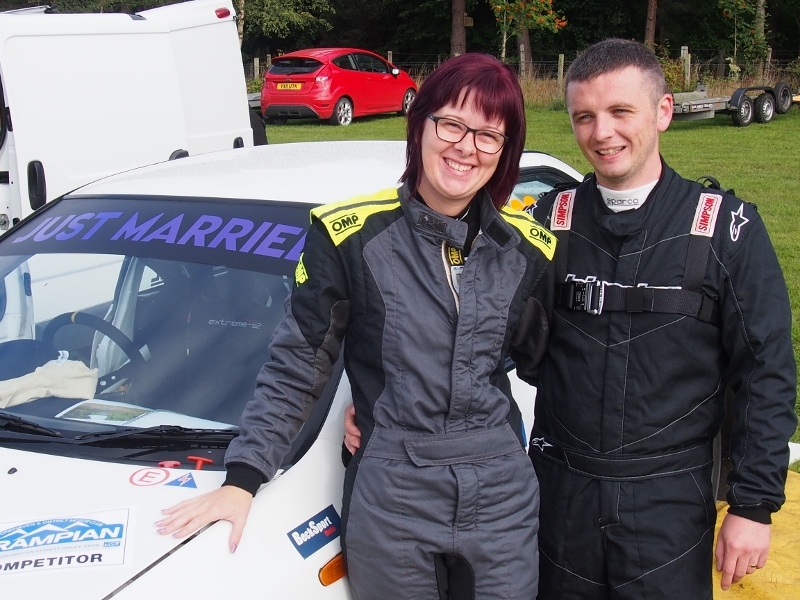 And Aileen Forrest who has stood on the sidelines for years watching her hubby John compete has got herself a car and relishing the challenge. And many, many more who just enjoy ‘the craic’. Anyway, enough gripes for now, on with the sport, and there will be a short roundup here at close of play today and a much more detailed report in the on-line mag later in the week.